Cauliflower Pizza Crust That Holds, Folds & Doesn’t Crumble! 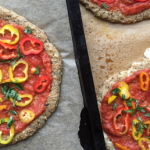 Home Recipes Dinner Vegan Cauliflower Pizza Crust That Holds, Folds & Doesn’t Crumble! Vegan Cauliflower Pizza Crust That Holds, Folds & Doesn’t Crumble! 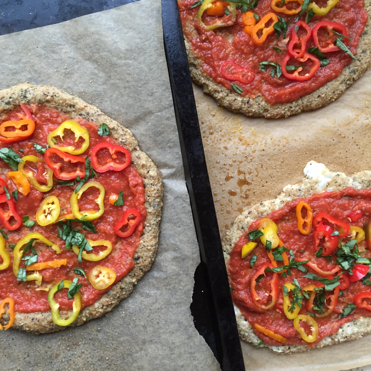 A vegan cauliflower pizza crust that passes the fold test? Impossible. I thought so too until I added the arrowroot starch to this recipe. It lightens the dough and helps bind the ingredients together. Between the starch and the chia seeds, it makes for a crust that can stand up to tomato sauce and veggie toppings. The best part, it tastes delicious, too. My four-year-old son high-fived me after taking a bite, and my husband actually ate all his cauliflower. It doesn’t get much better than that. Put a Healthy Spin on Zucchini Noodles. 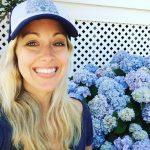 Get Recipe and Tips. Vegetarian Pot Pie! The Ultimate Comfort Food. Between the starch and the chia seeds, it makes for a crust that can stand up to tomato sauce and veggie toppings. The best part: it tastes delicious, too. Preheat oven to 350 degrees F. Line a baking sheet with parchment paper, spray with a non-stick spray (like coconut oil spray), sprinkle with cornmeal (optional) and set aside. In a small bowl, add the chia seeds. Top with 6 tablespoons water and set aside for 10 minutes to soak; chia seeds will absorb the water and becoming gooey, like pudding. Meanwhile, in a medium bowl, add the apple cider vinegar, grapeseed oil, flaxseed meal and water. Whisk to combine and set aside. In a large bowl, add the riced cauliflower, almond flour, oregano, garlic powder, baking soda, salt and nutritional yeast (if using). Stir to incorporate. Make a well in the center and add apple cider vinegar/flaxseed mixture. Stir to combine. Next, add the chia seed “pudding” and mix until fully incorporated. Transfer the dough to the prepared baking sheet and carefully press with your fingers to stretch it, working from the inside out. If dough is too sticky to handle, simply wet your hands lightly with some warm water to make it easier to work with. Press the dough to form a rectangle shape (it should stretch to just about cover the size of a 11.5x17-inch baking sheet, but be careful not to make it too thin). Once shaped, press up the edges slightly to form a crust. Alternatively, you can divide the dough into 3 smaller rounds to make personal pizzas. Bake the plain dough for 15 minutes. Remove from oven and let cool on tray for 1-2 minutes. Top with a thin layer of tomato sauce and veggies of choice. Bake for 10 minutes more. Allow to cool slightly before cutting. Serve. NOTE: To make the cauliflower “rice,” place washed, dried cauliflower florets in a food processor and pulse a few times until mixture resembles rice. Transfer to a bowl and set aside. 1 head of cauliflower will make about 3-4 cups of cauli-rice.